SPOKANE VALLEY, Wash., March 13, 2018 /PRNewswire/ -- Tribus Enterprises was founded in 2017 as a new startup company to manufacture and take to market new hand tools that will reduce labor, time and frustrations in the mechanic industry. We are innovators with intriguing designs and creative technologies that increase the mechanics productivity. 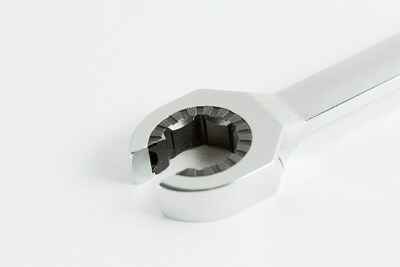 Our flagship product is a new patent pending, Ratcheting Tubing Wrench, which eliminates mechanic's frustrations with the current tool options that are available. An industry problem of laborious, manual manipulation of tubing fasteners will be solved with our Ratcheting Tubing Wrench. Our design was created to excel when used in tight spaces on tubing fasteners. Mechanics and technicians experience frustrations when working in tight spaces on tubing fasteners such as: • Brake lines • Transmission lines • Fuel lines. Today's available tools are adequate but subpar. Currently with the available tool selection for these unique, but common scenarios, the process to manipulate tubing fasteners is very labor intensive and time consuming. 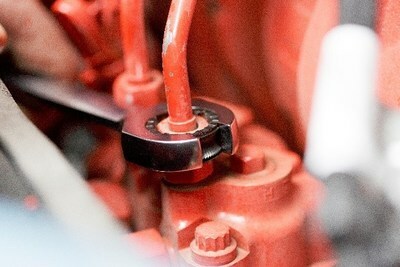 At this time the conventional tubing wrench has to be repeatedly engaged, turned, disengaged, and reset until the fastener is loosened or completely tightened, a process which can take a lot of time. Inefficient tools result in increased costs per job to the customer, increased labor time, and increased mechanics flat rate. As of September 20, 2017, Tribus Enterprises, Inc. received its Notice of Effectiveness from the U.S. Securities and Exchange Commission (SEC) for its registration on Form S-1. Currently Tribus Enterprises' offering allows the company to sell up to 8 million shares of Common Stock valued at 25¢ per share. The minimum investment for Common Stock is $1,000.00 and is easily accessible to all interested investors. Common Stock shares can be immediately sold or traded once this offering closes, a stock ticker symbol from FINRA (Financial Industry Regulatory Authority) is received, and the company is listed on the OTC QB Exchange. For more information on Tribus Enterprises, Inc.